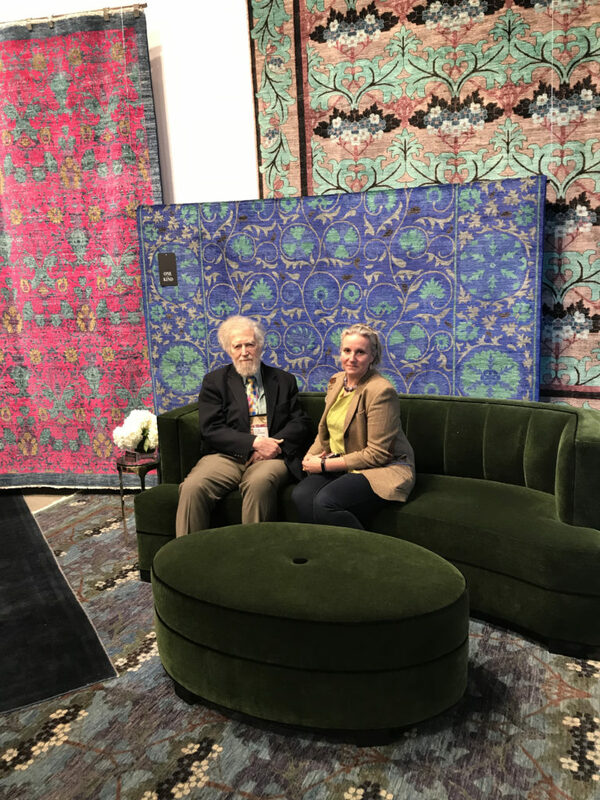 Sarah Stroh and Leslie Stroh relaxed in the Feizy Showroom beneath amazing one of a kind rugs. Once again, Sarah Stroh and Leslie Stroh walked the market in Las Vegas. 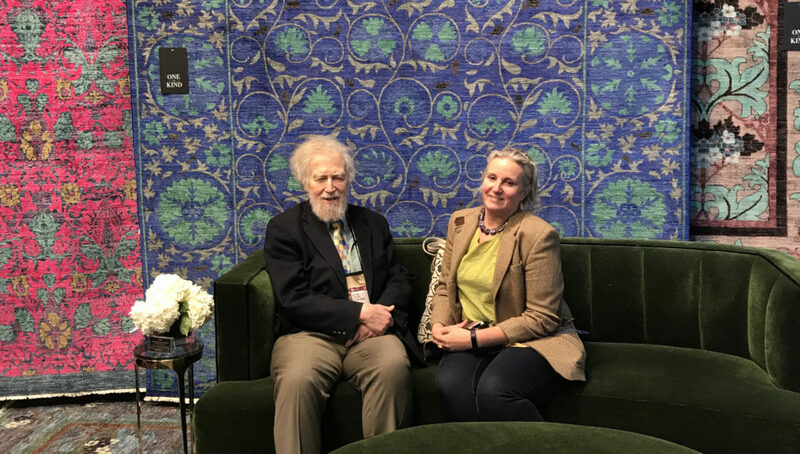 With the help of Thomas Gensinger, they are walked, they talked and they took pictures of rugs. You can walk it with them by going to Walking the Market on the Rug News andDesign web site. This year, they are looking for big rugs and interesting textures. Have fun.